At Company Lawyer we work as a trustee in bankruptcy, reconstructers and liquidators. Situations may arise when questions regarding reclaiming issues can occur such as when a partner or counterparty risk insolvency. We also manage specific legal questions such as in credit securities law. We have great experience finding creative alternatives and solutions for companies in an economical crisis. Company Lawyer has the expertise that enables companies and other organizations can be helped to act in time to find sustainable solutions. The process by which a company (or part of a company) is brought to an end, and the assets and property of the company are redistributed. Liquidation is also sometimes referred to as winding-up or dissolution, although dissolution technically refers to the last stage of liquidation. The process of liquidation also arises when customs, an authority or agency in a country responsible for collecting and safeguarding customs duties, determines the final computation or ascertainment of the duties or drawback accruing on an entry. 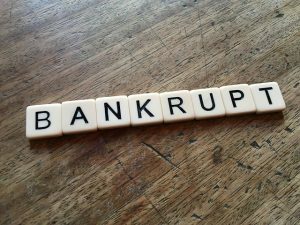 Liquidation may either be compulsory (sometimes referred to as a creditors’ liquidation) or voluntary (sometimes referred to as a shareholders’ liquidation, although some voluntary liquidations are controlled by the creditors).